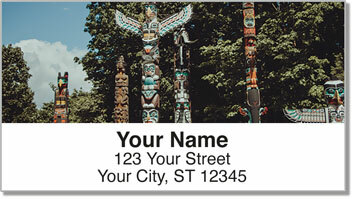 The towering totem poles we associate with the indigenous tribes of the Pacific Northwest are celebrated here, on Totem Pole Address Labels from CheckAdvantage. 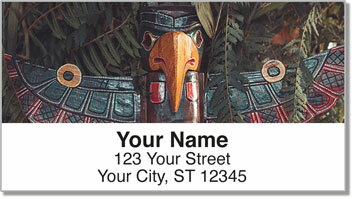 The intricate carvings and painted details tell the cultural story of their makers. 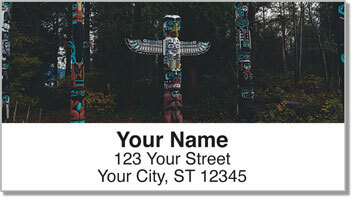 For this collection, our artist chose images of the wolf for its intelligence, the hawk for its vision, the whale for its wisdom, and the thunderbird for its power. Let these striking representations remind you of how these desirable traits surface in the story of your own life. 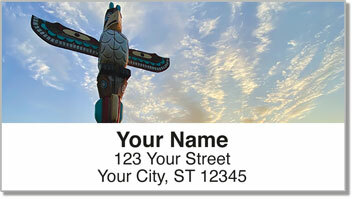 Place your order for Totem Pole Address Labels and matching Totem Pole Personal Checks today!